An event billed as the largest for Illinois Muslims took place Saturday night in the western suburbs. OAK BROOK TERRACE, Ill. (WLS) -- An event billed as the largest for Illinois Muslims took place Saturday night in the western suburbs. 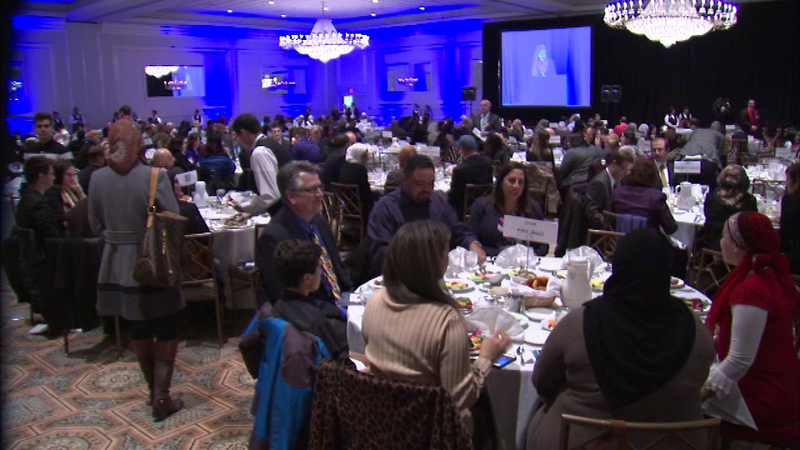 The Chicago chapter of CAIR, the Council on American Islamic Relations held its annual banquet in Oak Brook Terrace. The group says its mission is to "defend civil rights, fight bigotry and promote tolerance." The banquet was a chance to celebrate CAIR's achievements over the past 11 years and the diversity of the Muslim community.